Photographer Does Newborn Photoshoot... But With A Kitten! A 30-year-old photographer from Benton Habor, Michigan, named Kitty Schaub, recently adopted a kitten named Luna with her 5-year old daughter. On April 24, Schaub was preparing for an upcoming newborn photoshoot by getting out a bunch of props she needed and was suddenly struck with a fun idea when she saw Luna sound asleep on the couch. “I picked her up, loosely wrapped her in a blanket, and set her down,” Schaub said in an article on Huffington Post. She began to take photos of Luna, treating her just like she would a newborn subject. The photos that came out are so cute! Take a look for yourself below. Schaub found the photos so hilarious she decided to post them to her professional Facebook page and they quickly went viral, receiving over 64,000 likes and 66,000 shares. Since so many people think Luna’s pictures are so great, Schaub decided to compile them in a June to December 2017 calendar, which is on sale for $20 on her website www.kittyleephotography.com and all the proceeds will go to Save a Stray, an animal rescue in St. Joseph, Michigan. If you take newborn photography and want to get 49 pages with even more about posing newborns including set up, how to incorporate parents into the session, lighting, camera and editing techniques and so much more, this Posing Workflow For Newborn Photography is for you! For the sale price of $15 (regularly $149.99), you will also get 24 posing cards so you can take these tips on the go! What is not to love about taking some cute photos of adorable newborns? 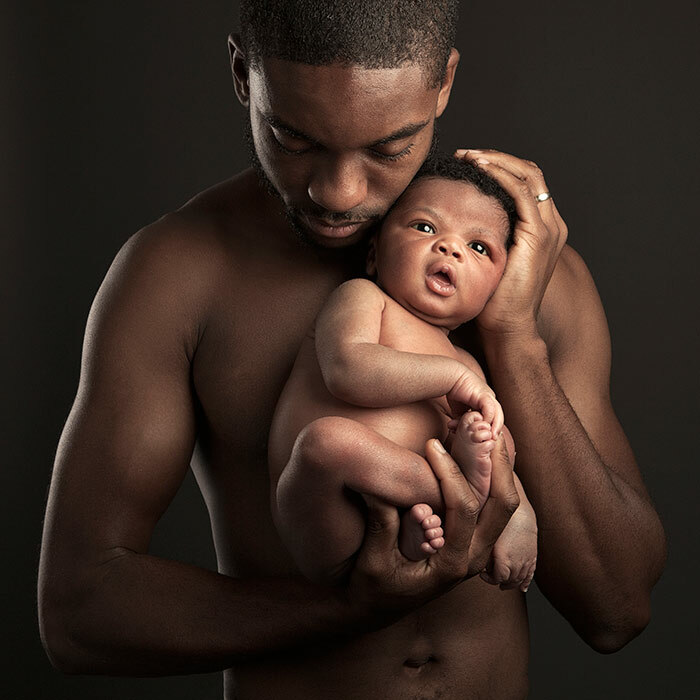 Everyone loves a sweet baby and we all know how quick babies grow up so capturing them as a newborn for their families to remember always is so special. When you are taking newborn photos, there are so many things you need to remember and you have to be flexible because you never know when a newborn will get hungry, start crying or just not cooperate like you had hoped. The Posing Workflow For Newborn Photography, a guide by Kimberly Reid, has so many great tips for doing an entire newborn session from beginning to end. We wanted to share with you 3 tips from Kimberly Reid's guide to help with your own newborn sessions. One great thing about a newborn session is that you do not need a huge space to capture some amazing photos. You do, however, want to make sure the baby is comfortable. Kimberly Reid does this by keeping a space heater nearby and a white noise machine on to make the baby nice and sleepy making it easier to take photos. 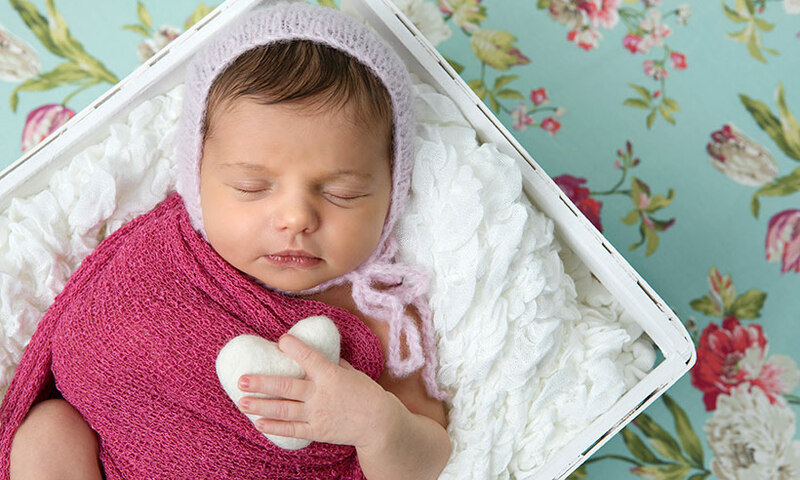 If you take newborn photos regularly, these may be two great items to invest in. When you are setting up your backdrop, it is best not to pull your backdrop straight up from behind the baby like you typically would with a hanging sheet for someone a bit older. It is better to set up your stand further back from your posing pod and pull the fabric more horizontally towards it which helps to naturally create a nice, blurred background. Posing the baby in a basket, box or posing pad is a few great poses to use when you are first starting off with newborn photography. It takes awhile to gain confidence in handling and posing the babies which makes those beginning easy poses best at first. If you want to make your newborn photography go to the next level, you must think about the details and perfecting even those simple poses. One detail you want to make sure you do not forget about is the babies hands. You can place the baby on their back and position their hands across their chest or tummy and the goal with this is to have their fingers stretched out and relaxed versus in a fist. Once the hands are set, have the mom or dad place their hand over the babies hand until the baby is relaxed enough to hold that pose on their own. Then, you can count to 3 and have the parent let go of the baby while you quickly snap the photos. If you love these tips and want to get 49 pages with even more about posing newborns including set up, how to incorporate parents into the session, lighting, camera and editing techniques and so much more, this Posing Workflow For Newborn Photography is for you! For $29.99 (regularly $149.99), you will also get 24 posing cards so you can take these tips on the go!